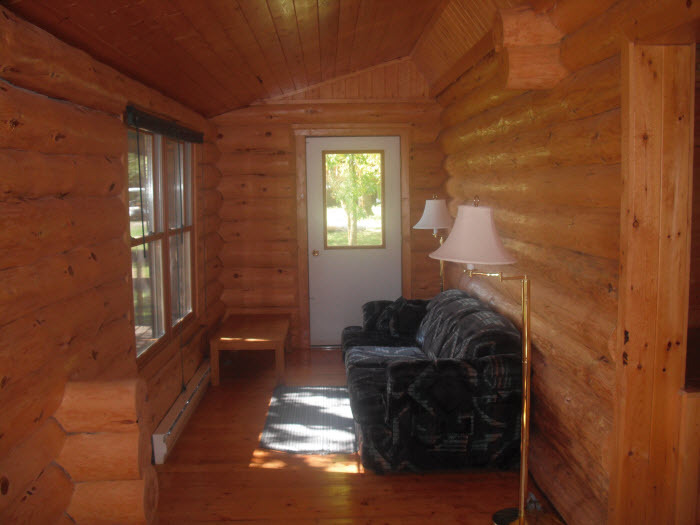 You don't lose modern amenities when you stay with us. 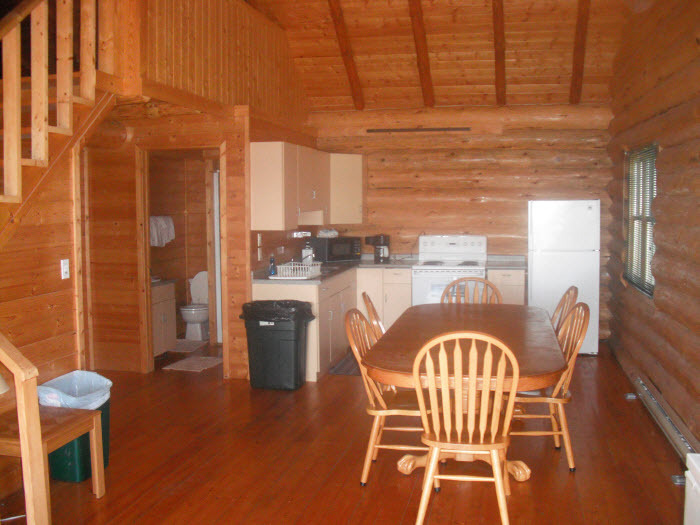 Sandy's Blackhawk Island is located along the western shore of Lake of the Woods on a scenic ten-acre island. 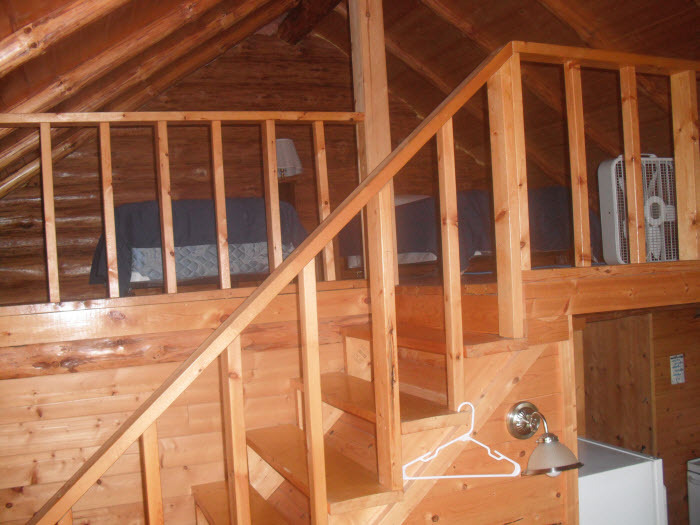 Five beautiful log cabins have been erected and each is fully furnished for housekeeping accommodations. Direct line electricity, a state of the art water purification system and a new septic field have been installed. The docking system is second to none. Placed in a protected cove, these floating docks have 32 individual slips. Bumpers and electrical outlets have been placed in each. Gas, oil, and ice are available on site as well. 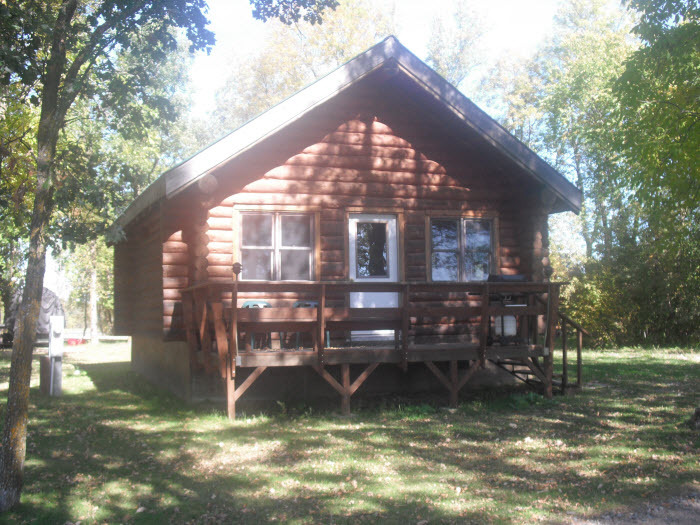 Our camp is limited to 28 guests at one time with new log cabins that accommodate from two to twelve guests. 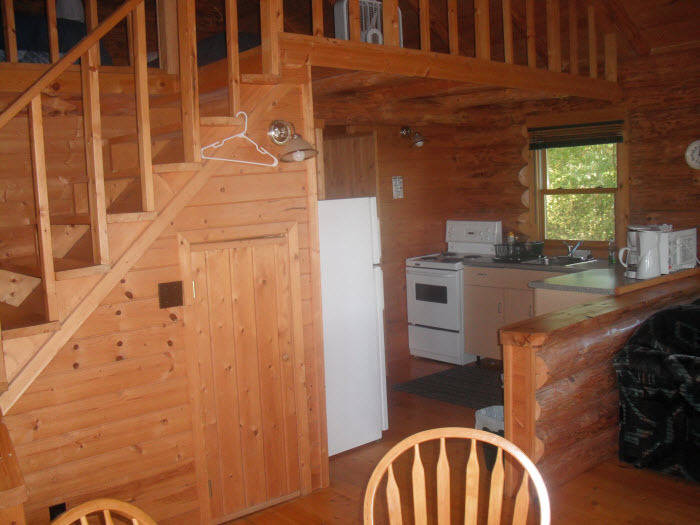 Each cabin has 1 to 4 bedrooms, bathrooms with flush toilets, showers, hot and cold running water. 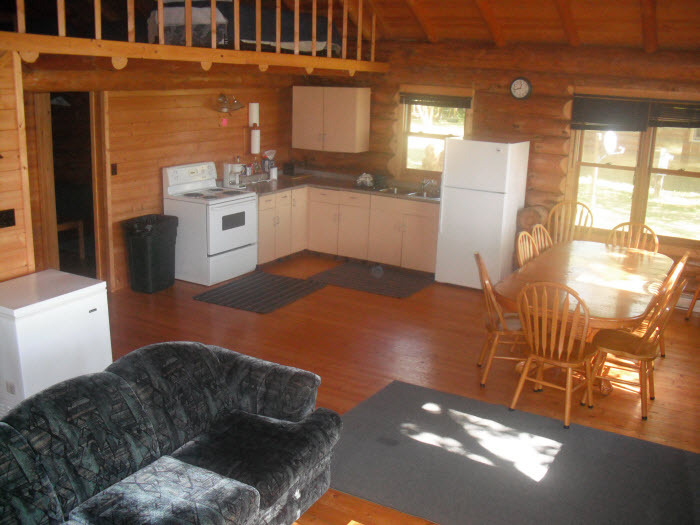 The cabins are fully furnished for housekeeping, including all cooking utensils, sheets, towels, and blankets. Your own boat unless fishing with a guide (ropes and extension cord). 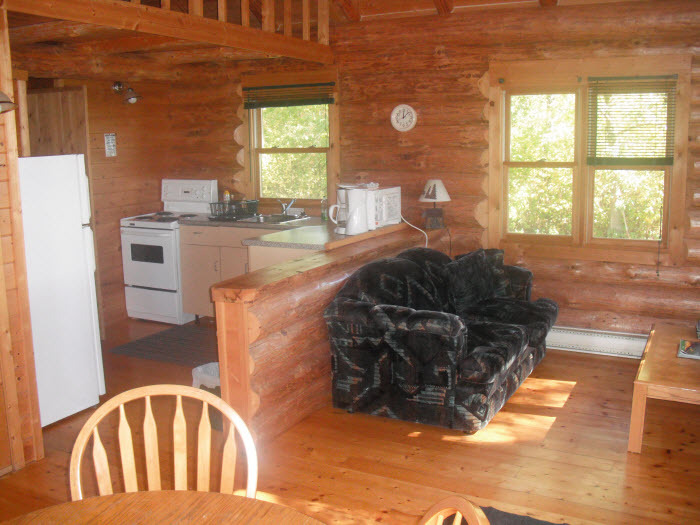 Food and beverages for your entire stay.